HQ Silver Series Premium HDMI Cable. 50m HDMI Cable Super Long Active Cable. Built-in active booster. HDMI High Speed with Ethernet Cable. Individually Screened Cable. HDMI Ethernet Channel. 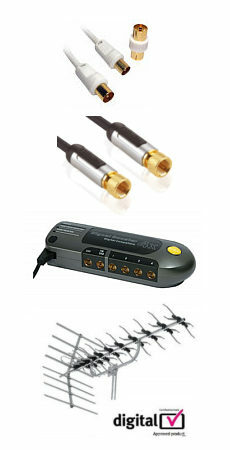 Audio Return Channel. 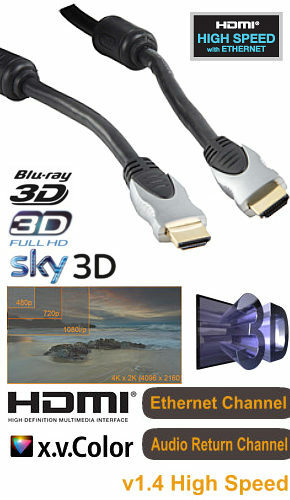 3D over HDMI. 1080p Resolution Support. Expanded Support for Colour Spaces. Micro USB socket TV end to apply optional extra power if required. Please note active HDMI Cables are directional and must be installed the correct way round.